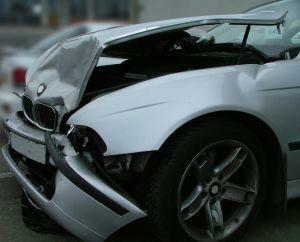 Becoming involved in a car accident can be a scary situation under the best of circumstances. Unfortunately, if your child is in the car with you at the time of the accident, it becomes much worse. You want to ensure you do everything possible to protect your child after a motor vehicle collision occurs, and that means knowing what steps to take after a crash happens. One of the key things you should do after a crash occurs is to contact an Atlanta car accident lawyer for help pursuing a claim for compensation. If your child sustained injuries and the accident was the fault of another motorist, you'll want to make sure that the motorist responsible provides payment for monetary damages. These funds can help you to get the very best care for your child, without any worries about the financial issues this could cause for your family. Care2 also provides details on some of the other key things that you should do in the immediate aftermath of an accident in order to reduce the risk of serious injury for your young children. Move to safety: While your very first instinct after getting into a crash is going to be to check on your child immediately, you need to get you and your kids to a safe place as soon as possible. This means if you can move the vehicle you're in off to the side of the road and away from passing traffic, you should do this first and foremost. Getting you and your child to a safe place can help you to protect your child from further injury that a secondary accident would cause if your vehicle was still in the path of traffic. Call for help and avoid moving your child: You should call EMTs and you should wait for them to come before you try to move your child or your child's car seat. Children are especially susceptible to spinal injuries and head injuries because their bones are still developing, and moving your child could make injuries worse. Wait for professionals, no matter how much you want to go to your child and pick him or her up and comfort him. Watch for symptoms: As you wait for medical professionals to come to the crash scene, you should watch carefully for any signs your child has sustained serious injury. You'll want to report these symptoms to medical personnel as soon as possible. This can include slurred words, difficulty breathing, or bleeding from the nose or mouth. Always get a medical exam: Even if your child seems fine, children can't always communicate pain effectively and symptoms aren't always readily apparent. Once your child has been examined and is safe, it's time to consider the legal issues raised by the collision. You have a limited amount of time to take action to get compensation for your child, and you want to reach out to an attorney right away to make sure you have a lawyer helping you to collect evidence, talk with insurers, and maximize the compensation that your child will receive.